So I googled 'Flooded Cookie Heart' and a photo from this post was displayed. It immediately caught my attention. I have now spent the better part of an hour looking through all of your amazing cookies..and I am your newest follower. I also featured these cookies on my blog. I'd love for you to stop by and check it out. Welcome. So glad you found me. Thanks for featuring my cookies. I'll be sure to check your blog out. 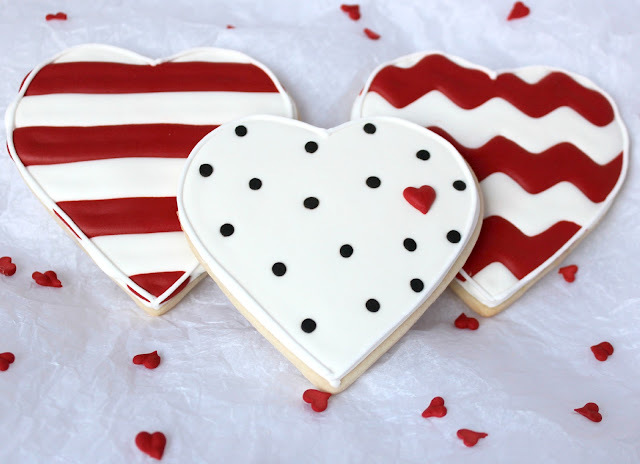 these cookies are simple yet elegant!!! New to your blog... it is very nice! Thank you . So glad you stopped by!